The 10-mile loop begins in Winter Harbor. Grindstone Neck has scenic views and a picnic spot. 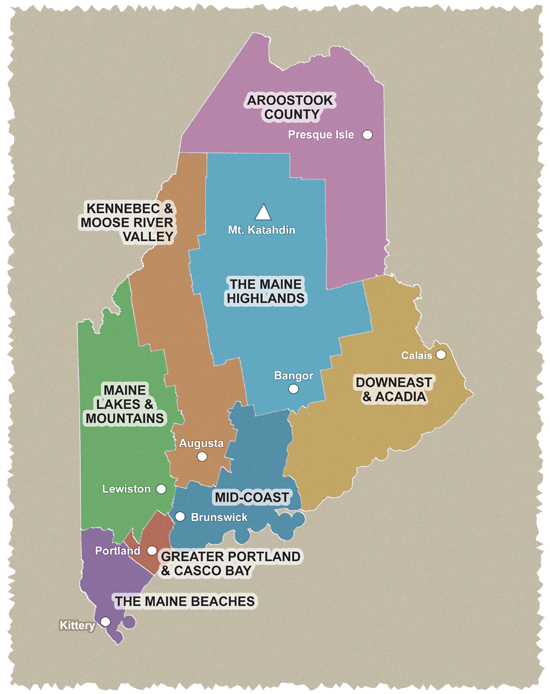 The 12- and 24-mile loops take cyclists through the easternmost reaches of Acadia National Park to beautiful Schoodic Point, as well as through picturesque fishing villages and along a dramatic stretch of Maine’s rocky coast. Pack a picnic lunch to enjoy at Schoodic Point and enjoy spectacular views of Mount Desert Island and Frenchman Bay along the way. The 12- and 24-mile rides begin at the Frazer Point picnic area. No matter where you start, these are excellent beginners’ loops for road cycling as they are almost exclusively on the low-speed roads of Acadia National Park except for the final 2 miles on ME 186. Cautions: Narrow roads; traffic may be heavy in summer. Use extra caution on ME 186. Some roads with no shoulders. Starting point: The 10-mile ride begins at the Winter Harbor town office or school on Harbor Road (corner of School Street and Harbor Road). The other two rides begin at the Frazer Point picnic area near the entrance to the Schoodic Peninsula on Moore Road.